Hand carved, artist signed, 35 mm oval sardonyx shell cameo. 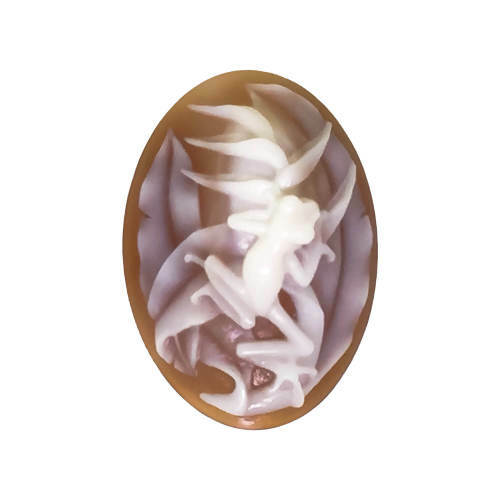 Stick frog on Halyconia Cameo – A hand carved, artist signed original, 35 mm oval sardonyx shell cameo. Registry number #2707. Eco-Friendly, Fair Trade. Sold with a Certificate of Authenticity. Carving from the “knuckle” portion of the shell makes this little stick frog come to life.